In an ancient part, of the modern city of Thessaloniki, now a part of the municipality of Thermaikos lays the Square of Antigonidon. Once part of a sacred district of Temples, today if one were to drive by the square you would never realize that under the areas urban sprawl and sandwiched in-between modern buildings lays a treasure of enormous significance, a beautiful 6th century Temple to the Goddess Aphrodite. First excavated in 1936, the temple, which is 200 years older than the Parthenon was all but forgotten during the Nazi occupation of Greece in World War II. It was not until 2000, that fate of this lost treasure resurfaced due to the demolition of a two story building, which rested above the Temple. This allowed archaeologists once again to excavate the location. This time having the opportunity to uncover one-third of this forgotten piece of Thessaloniki’s history and thanks to the efforts of those involved, a small fraction of the treasures from this site is now on display in the Archaeological Museum of Thessaloniki. At present, the Greek Government is attempting to entomb and conceal the Temple, rather than fully excavating the site. Originally upon its discovery, an initial decision was made to continue its excavation; however, this decision was later overturned. Since then the fate of this important part of Hellenic history has been ‘frozen’ and was rescheduled to be discussed in April of 2011, but has since been postponed to be reopened early this year. If the Greek Government and the property owner get their way, the temple will remain buried, and an irreplaceable national treasure will be lost. This response by the local government displays just how corrupt and apathetic Greek politicians are to our National Heritage and future. Their decision reeks of a biased agenda against developing any place other than Athens and in some ways our unconscious decision to yield to the radical revisionists from Skopje who claim the ancient Macedonians did not worship the same Gods as other ancient Greeks. We therefore call on all Patriotic Greeks living inside the motherland and throughout the Diaspora, as well as Philhellenes to join us in protesting this sacrilegious attack on our National Heritage. Please contact the Municipality via email, phone and/or fax to urge the Mayor to stop this injustice from taking place. Please feel free to write your own email in protest or use the sample letter found below. Together we can show the world the light of Hellenism still burns and will not fade away against the overwhelming pressure of modernization. Together we can make a difference. I am contacting you concerning the issue of the Temple of Aphrodite in Antigonidon Square. It has recently come to my attention that this magnificent piece of Greek history has been left covered by urban sprawl and is scheduled to become the foundation of a new apartment building. At a time, when Greece finds itself amidst an economic and social crisis, this ancient Temple is nothing more than a gift from the Gods. The Temple of Aphrodite is a National Treasure with the potential to be a rallying point for the entire Greek nation and provides the city of Thessaloniki with an opportunity to help revitalize our ruined economy with what would certainly be the most spectacular tourist attraction in all of Northern Greece. In any other part of the Mediterranean, the discovery of ancient Temple, 200 years older than the Parthenon, would have made headlines worldwide. Why is it then that the local government is contemplating entombing and concealing the Temple, rather than fully excavating the site? To simple rebury the Temple is sacrilegious and will result in an irreplaceable national treasure being lost. Now when Greek citizens cannot afford to pay their rent, just who does the property owner think he will get to live in these new apartments? 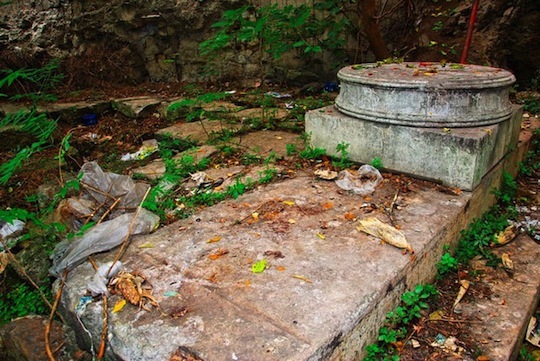 Is this how we crown our ancestors, by burying their great achievements, rather than resurrecting them? Is it merely a coincidence that a time when Greeks feel angry, desperate and disillusioned that a Temple to Goddess of Love appears to us? I think not. Please don’t let this crime against humanity happen. Restore the Temple of Aphrodite and with it our National Pride and Unity.